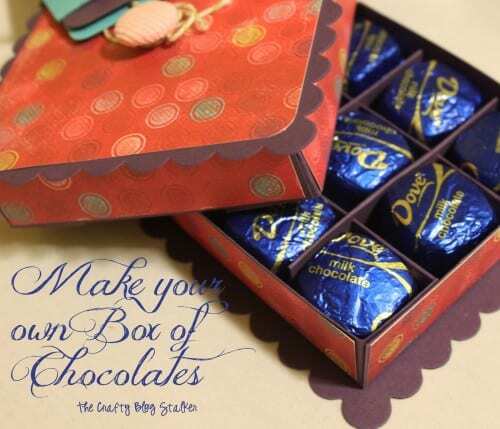 Make a box of chocolates to give as a small thank you gift or teacher gift. An easy DIY craft tutorial idea to make the box and fill with chocolate! Have you ever needed a quick little gift? I have the perfect solution for you, make a box of chocolates! A couple of weeks ago a teenage friend of ours watched our cute little dog, Eva while we were out-of-town for a couple of days. I wanted to do something for her to show her our appreciation for her help. While browsing my Pinterest Boards, I found a tutorial for a box made of paper that fits Dove Chocolates perfectly! And what teenage girl doesn’t like chocolate?! The tutorial I found came from Clearly iStamp, and her tutorial is AMAZING with lots of step by step pictures and it is very easy to follow. So if you would like to make this box I highly suggest going to her post This Dove’s for You because I saw no reason in redoing what she had already done so well. There were only a couple of things that I did differently so let me show you what I did. First I chose the main papers of the box. Clearyly iStamps usedNestabilitiesthat I don’t have, so instead, I used the Bigz Scallop Square Sizzix Die for the top and bottom of the box. Rounded the corners with a corner punch. Now the box is finished but I wanted to add a cute little card so I could tell her Thank You as well. For the envelope, I used the Library Card Pocket Sizzix Die and the Pinwheel Sizzlits Die. For the note, I cut a piece of paper that was just a tad smaller than the envelope and wrote my message on it. Is this a gift you would like to receive? Share and leave a comment below! 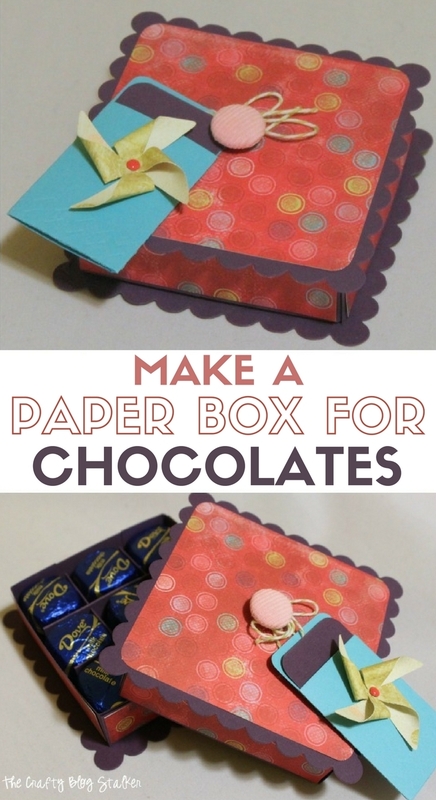 SAVE PAPER BOX OF CHOCOLATES TO YOUR FAVORITE HANDMADE GIFTS PINTEREST BOARD! This is a great idea. I have some small items I want to put in my booth and these boxes would be the perfect handmade container. I went over to the blog you referenced. Thanks! This is such a great idea! I don’t usually like boxes of chocolates from the store because they are filled with flavors I don’t like. This way, you can choose what goes in the box so the person who is getting it is sure to like it. I love the paper you chose to use. What a wonderful gift to give anytime of the year. Thanks for sharing. I’m visiting via Confessions of an ADD Housewife party. Katie, this is so adorable. I love it. It was nice meeting you tonight. Hope to see you tomorrow. I love your box of chocolates! If I received this, I would keep the box forever. I <3 boxes! So cool. If only I’d noticed your blog earlier last week, I’d have made one to fill with my homemade Valentine chocolates. No worries, plenty of other chocolate-worthy days ahead! 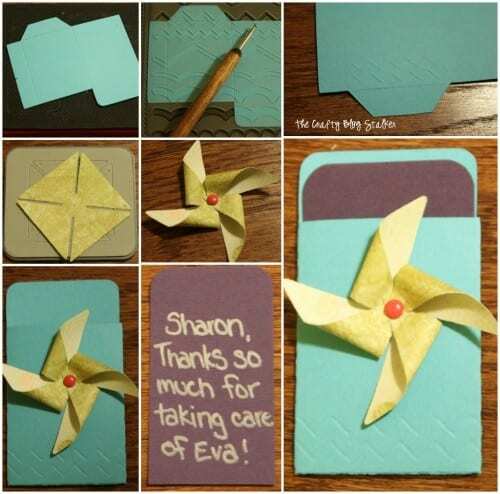 Such a wonderful idea and a great way to give a one-of-a-kind gift. So fun, Katie. Thanks for linking up to Tasty Thursdays. Can’t wait to see what you linked up this week. So cute! I love the Dove chocolates in the box! Thanks for sharing at The Gunny Sack! This is wonderful. Excellent job and what a fun gift! I love this idea. It is so awesome! I just pinned it.